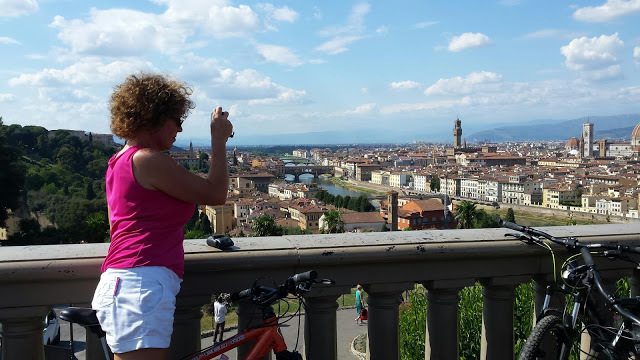 Florence Bike Tours, private guided bike tours, including bikes, pick-up service, English speaking guides and much more. 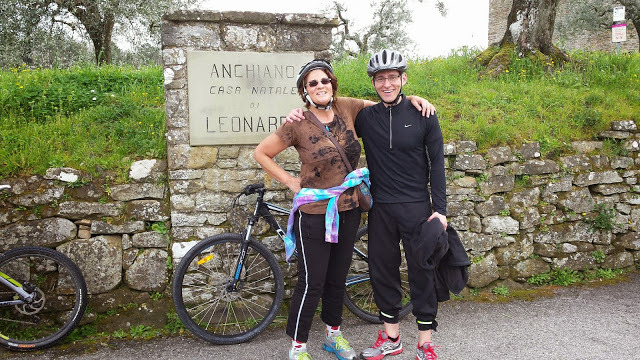 Florence Bike Tours offers you private guided bike tours into the magnificent city centre of Florence and on the best paths in the Tuscan countryside. 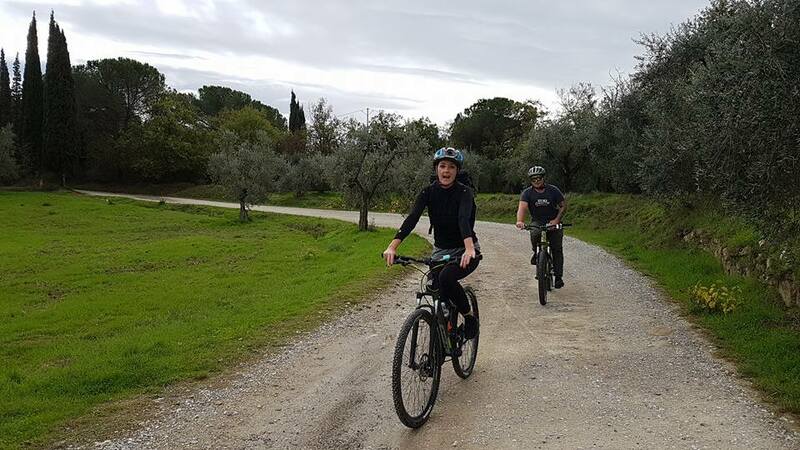 We provide mountain bikes, road bikes, original vintage Italian bicycles, electric bikes and fat bikes to give you the best experience on two wheels in Tuscany. We will let you see the country side or the city centre including the smallest streets where buses or taxis can't take you, with less effort than by foot and spending less than half the time. We arrange daily and multi day custom tours according to your needs. Just scroll down for our top tours. 1) PRIVATE TOURS, for you and your family or group. 2) NO TIME LIMIT, no rush, just fun all day long. 4) LOCAL ENGLISH SPEAKING CERTIFIED TOUR LEADERS, with in-depth city knowledge. 5) ALL INCLUSIVE: Bike, helmet, high visibility rain cover, lights, gloves, childseat, kids trailer, water, insurance. 6) FREE PHOTOS of your tour, sent to your email. Tours menu: many choices, same price. 1-2 persons, half day 50€ each, all day 70€ each, all inclusive. 3 and more persons, half day 40€ each, all day 60€ each, all inclusive. Children under 8 years ride for free. 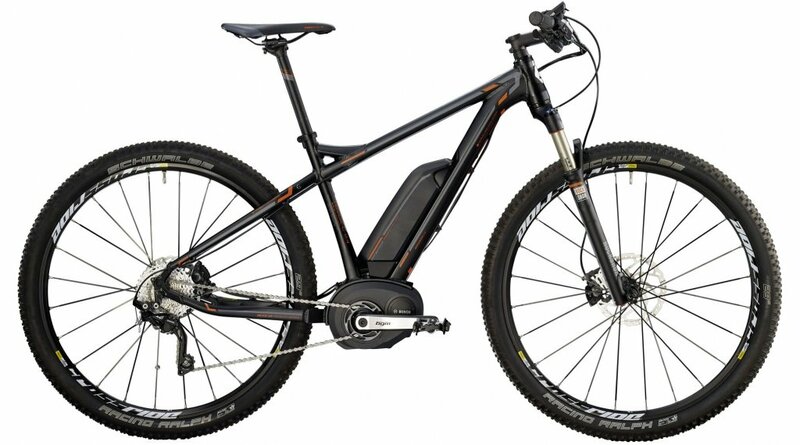 Extras: full suspension bike or e-bike, 20 €. The whole city center on pedestrian paths to see around all the monuments. Cascine park, Piazza Signoria, Palazzo Vecchio, Michelangelo's David, Duomo and Battistero, San Lorenzo's church and market, Ponte Vecchio, Palazzo Pitti and Piazzale Michelangelo. In a few hours you will be able to see the main road and also the smallest streets and gardens that you can't visit by car or bus. No rush: taking the time to rest and drink a coffee or taste an Italian gelato. 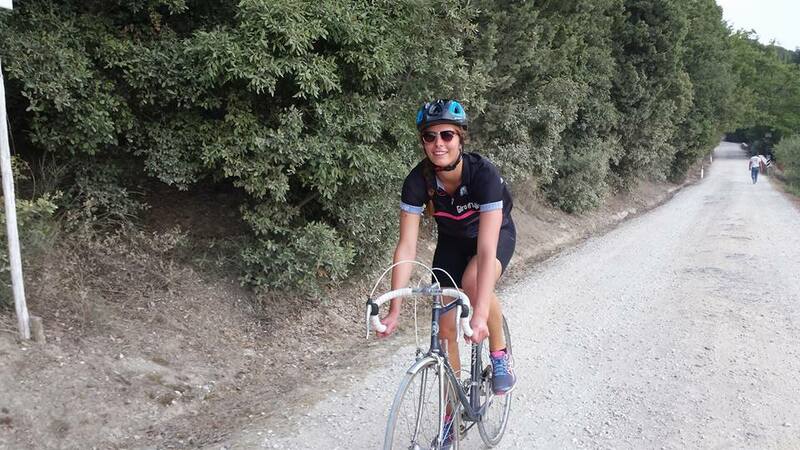 Do you want to experience the sensation of old time cyclists with an original vintage bicycle on original gravel roads in Eroica style? If yes choose this tour and try the real cycling life, pedalling on unpaved roads without suspensions, disk brakes, just a few gears, and tiny tires. We provide you an original vintage Italian bicycle hand crafted in early 70's, allowing you to experience cycling like old time heroes. We will ride the same path ridden by Gino Bartali in his daily training, but we will also visit some wineries and farms to rest taste some Chianti Classico red wine and old time cyclists food. Ride through the land in which Leonardo Da Vinci was born, in the South of Montalbano hills, a sunny country with amazing views and landscapes. There are a wide range paths that we can choose, cycling paths, dirty roads, single tracks and paved roads. The Leonardo museum and his birthplace could be two perfect stop to learn the real story of the most important genius in history. Find the incredible villas in which the Medici lived in, (the lords of Florence in the Renaissance age), Florence was the world capital of culture, art and engineering, named the Reinaissence cradle. Medici's Villas in Tuscany are UNESCO world heritage. 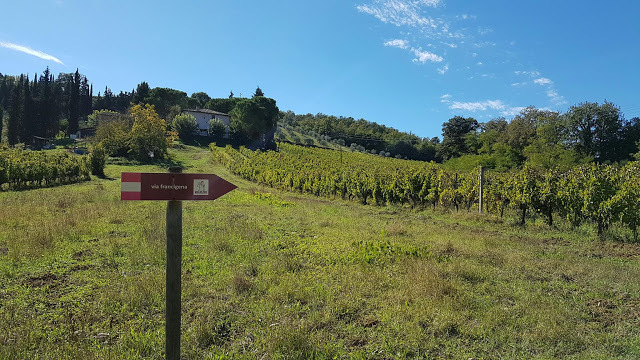 We will visit Poggio a Caiano Medici's villa, "hundred chimneys" Artimino villa Ferdinanda, Rocca di Carmignano, Villa La Magia, all connected by old unpaved roads between olive grooves and vineyards. Renaissance ring is a path made up of many trails that were originally built for horses and pedestrians about six centuries ago. The paths create a circle around Florence up and down on hills close to the city. Florence is placed in a valley, with typical ancient villages dotted on the hills like diamonds on a crown. By a ride on this trail you can enjoy a 360° view on the city. Chianti is one of the most famous areas in Tuscany and it's the place where you can find the best wineries. Enjoy the taste of Chianti wine, extra-virgin olive oil, and typical foods. 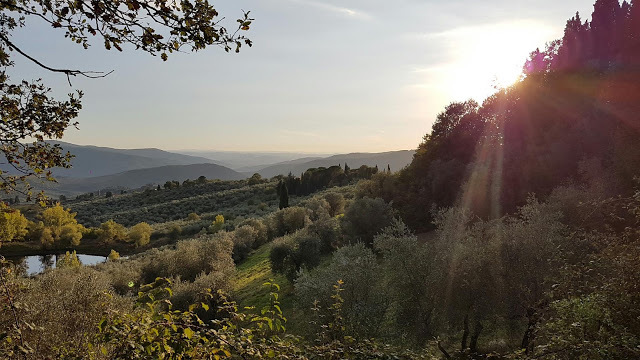 The Chianti country is close to Florence, In just a few kilometres landscape changes from city roads to olive groves, vineyards, woods and farms. The country is crossed by a huge number of trails and dirty road, choose this tour to discover them. 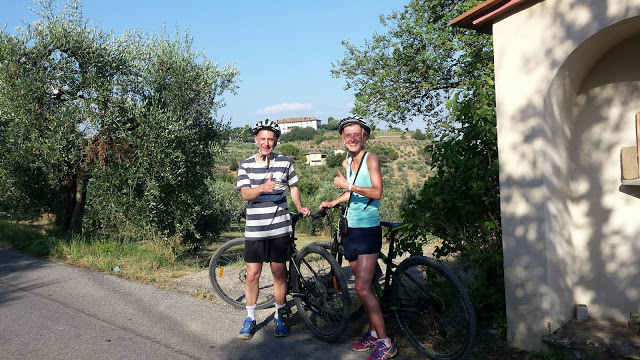 This tour is almost completely on dirt roads and single tracks and is the hardest but funniest way to visit this unique area of vineyards and olive trees. 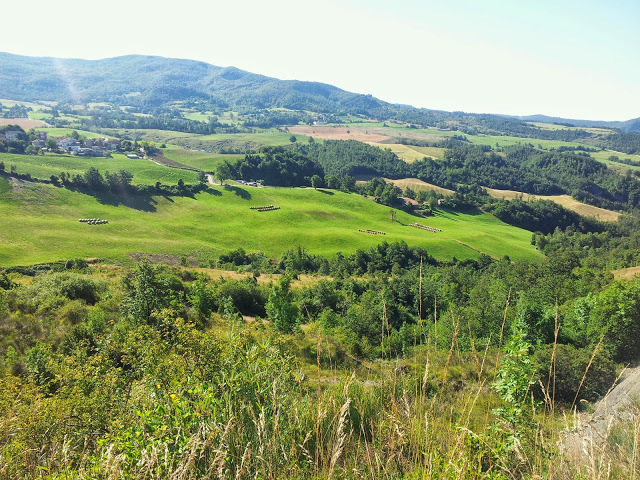 This is the only area where you can find the real Tuscany country life. Fewer people visit this area, it is not as famous as Chianti, but is a charming place. Montalbano is a steep hill, so the trails are not so easy, and getting to the top will be a challenge if you choose a direct line to the summit, but after that the downhill will be superfun! 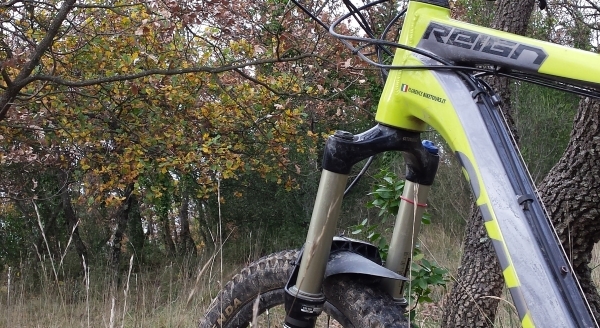 With this tour we promise you real adventure in the Apennine mountains around Florence where you can really challenge yourself both up and down hill, finding amazing places where only local riders dare. 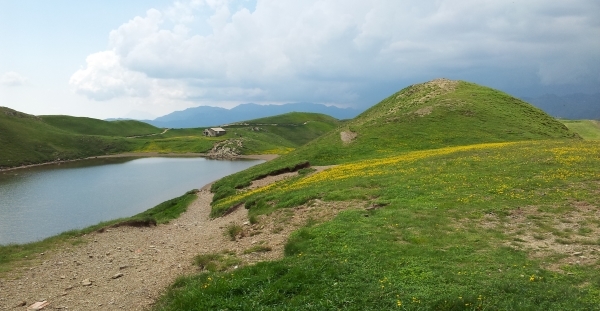 In a few hours ride we can reach summits of the Apennine mountains, about 2000 m, take in the wonderful landscapes and then ride down hill on natural single tracks to the valley floor. One of the most famous pilgrimage ways, used since the middle ages to connect Canterbury (England) to Rome. The Tuscan part of the way is very beautiful. A ride on it it's a dive into history. San Gimignano, UNESCO heritage, is the middle age Manhattan, Monteriggioni is a perfectly preserved middle age forth, Siena is the oldest Roman city in Tuscany. 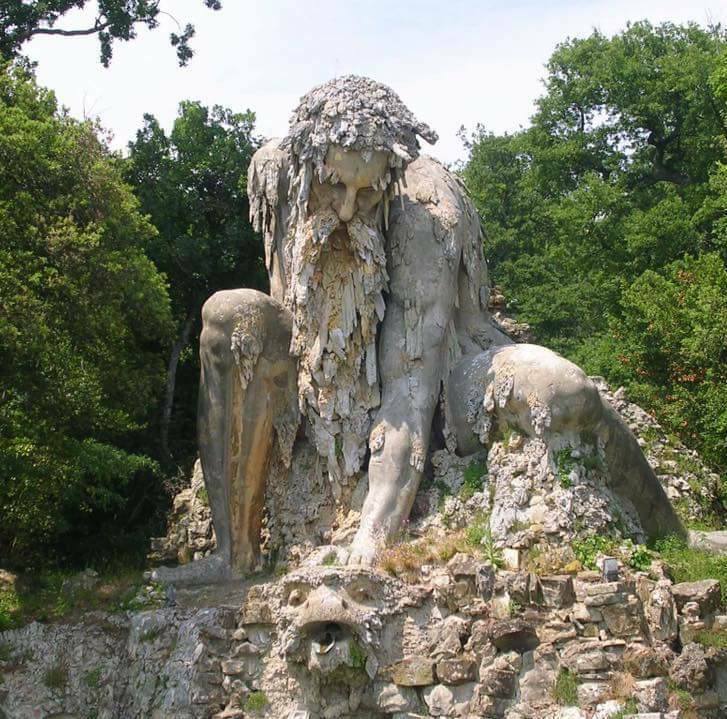 Probably the mos beautiful park in Tuscany with the most incredible statue in the world. The Gianbologna's Giant is not just huge and impressive, it's a masterpiece in beauty, architecture, sculpture and engineering, as much as Cupido cave, and the other incredible attractions in the Pratolino Villa. It really was a renaissance Disney world, with robot birds, streams, magic buildings and other incredible attractions made by geenius men for the Francesco Medici's majesty. 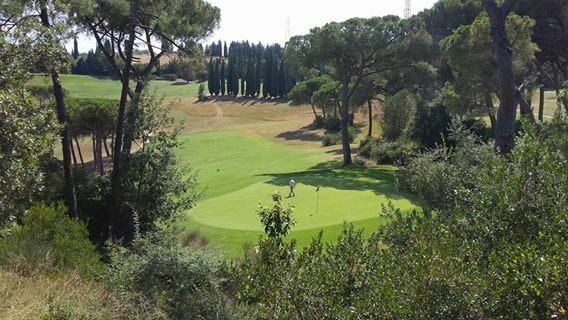 Very exclusive activities to do in Tuscany, a bike rire in sunshine to Chianti country on gravel roads through vineyards and olive grooves to the Ugolino Golf Resort, for a golf lesson or 9/18 holes match. Available fro 200 eur each person including pick-up service, bike tour and golf lesson. If you wish to see something particular or just want a ride in the country around your hotel or farm stay we can plan a tour to suit you. Just tell us what you want in the booking forum. Ask for an ebike if you want an effortless tour. Just tell us when filling out the booking form. It costs just 20 euros per day. Have a look at our blog for other pictures from our tours or watch out our social pages.